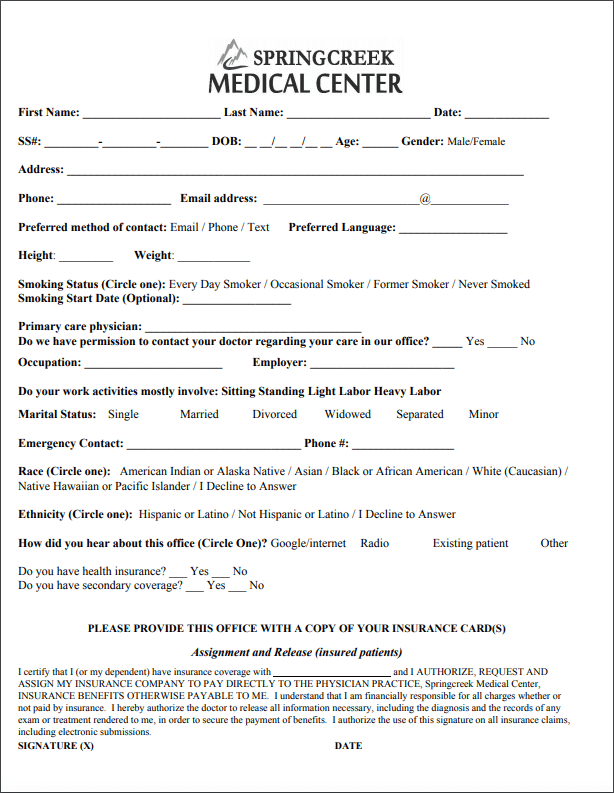 Fill out the form below prior to your visit to save you time! In order to make the most of your visit at Spring Creek Medical Center, we recommend filling out this patient form before coming in. Once you’re in the office, you’ll be able to receive the treatment you’re looking for from one of our expert staff members. You can download the form and then print it out by clicking on the image or the link below. If you have any questions about the form, please feel free to give us a call at (435) 792-9400.